Rogue River, OR (August 3, 2015) – A soon-to-be released laboratory study, utilizing six different manufacturer’s relative humidity testing equipment and overseen by an ASTM task group, offers a breakthrough finding that will prove immensely useful and profitable for anyone who utilizes the Rapid RH® testing method for their projects. According to the Precision and Bias (P&B) study, users of ASTM-compliant Rapid RH® measuring devices for concrete slabs can be certain that the readings they see at 24 hours are essentially the same as the ones they will see at 72 hours. 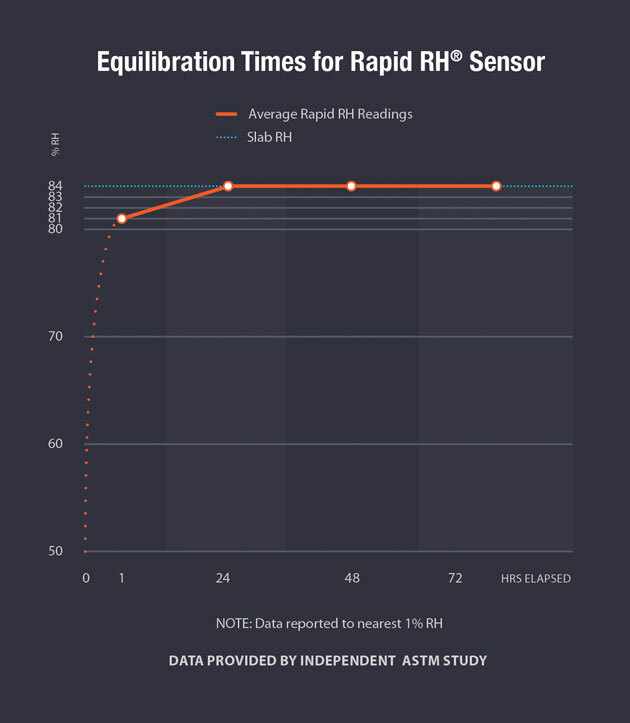 These results confirm the accuracy of in-situ Rapid RH® moisture measurement and underscore the speed with which relative humidity (RH) testing allows flooring professionals to move forward with their projects. The 24-hour equilibration finding, in particular, means they have the data they need a full 48 hours in advance of their final mandated reading. Knowing that the 24-hour RH reading is essentially identical to what the final 72-hour reading will give industry specialists a powerful tool to help accelerate their project workflow. Whether their readings indicate that the slab’s moisture profile is in line with the finished flooring products’ specifications or that there is a need for some form of moisture mitigation, professionals now know that they possess this information a full 48 hours prior to taking their final readings. For 50 years, Wagner Meters has set the standard for the moisture measurement industry, creating and providing solutions to enhance the quality and value of their customers’ products and businesses. 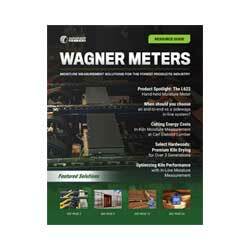 From hand-held pinless wood moisture meters to inline systems for lumber mills; from the state-of-the-art Rapid RH® system to the award-winning DataMaster™ wireless data management device; and from online educational video series to on-site live training, Wagner continues to lead the way into the future.